As always, Ganja Mall Cinema located in the 4th floor of Ganja Mall presents a new movie. 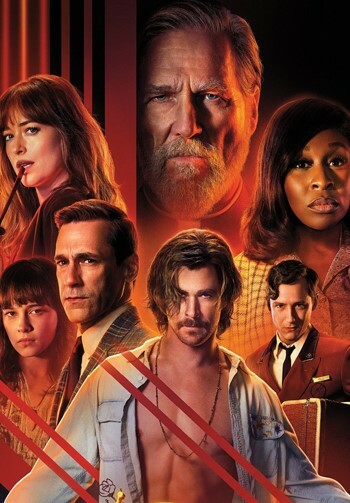 Starting from 11th of October, you can watch the movie “Bad Times at the El Royale” in Ganja Mall. 7 strangers start their journey with different stories. Without being aware of each other, they all come together in El Royale hotel nearby Tahoe lake. Each of them has own secret story. This night is going to be the last chance for them to open up and get rid of their worries. Over the course of one fateful night, everyone will have a last shot at redemption - before everything goes to hell. You should visit to Cinema Plus located in Mall Ganja to share exciting and interesting moments with your friends and close ones and to watch the movie where main roles are played by the actors such as Chris Hemsworth, Jeff Bridges, Dakota Johnson, Jon Hamm.